Open doors pique ones’ curiosity and beckon to be explored. What’s inside? 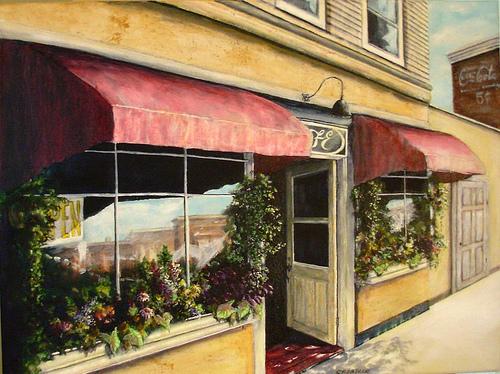 The Open Door Café hopes to invite and welcome all passer-bys to enjoy the beautiful window boxes, to bring to mind special places visited with friends or family, or simply enjoy the charm of a nostalgic city nook. Acrylic painting on wrapped canvas, 16" x 20". 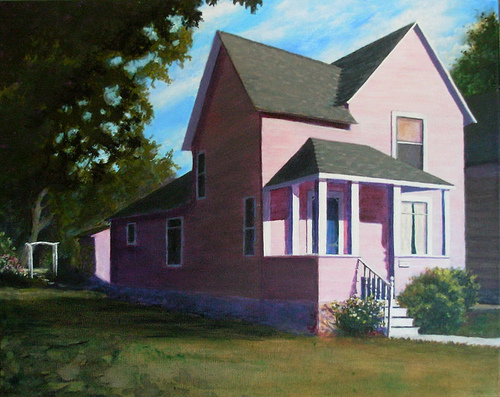 A "self portrait" of my own house, completed in May 2008. Acrylic painting on wrapped canvas, 16" x 20." 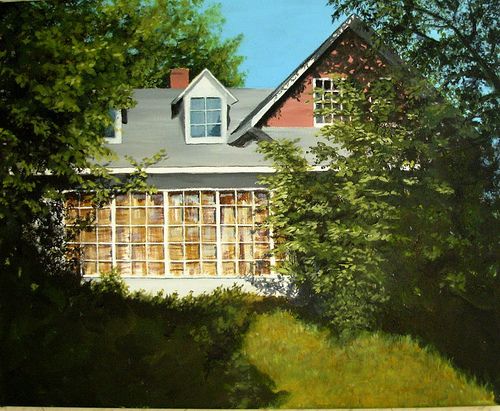 This painting was completed in 2008. 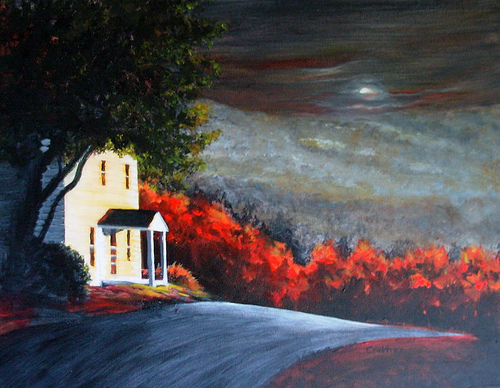 Acrylic painting on wrapped canvas, 16" x 20" completed in May 2008. 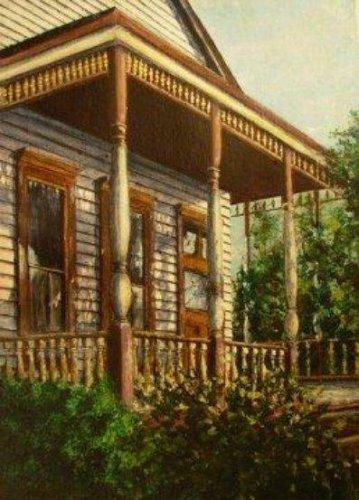 Acrylic Painting of an old Victorian house. It was painted on 11" x 15" watercolor paper, completed late 2007. 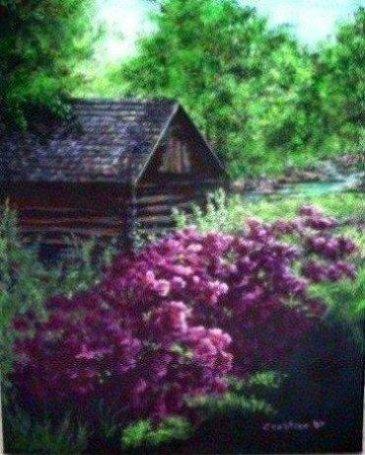 Acrylic painting on 16" x 20" wrapped canvas of a forgotten cabin in the midst of wild azaleas. Completed 2007. Acrylic painting on wrapped canvas, 28" x 34". 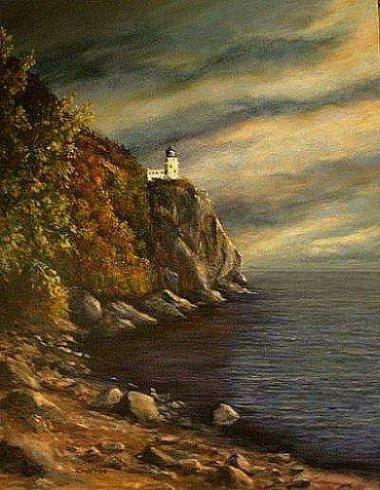 This was a gift painting for my daughter-in-law who loves lighthouses. Completed April 2008.